PARIS — Satellite fleet operator Telesat says the desired size of its future low Earth orbit broadband constellation is more than twice the number of satellites authorized by U.S. regulators, and could ultimately scale to 512 spacecraft. Canada-based Telesat received approval for a 117-satellite network from the U.S. Federal Communications Commission in November, triggering a regulatory deadline to have at least half that number in orbit within six years and the total in nine. 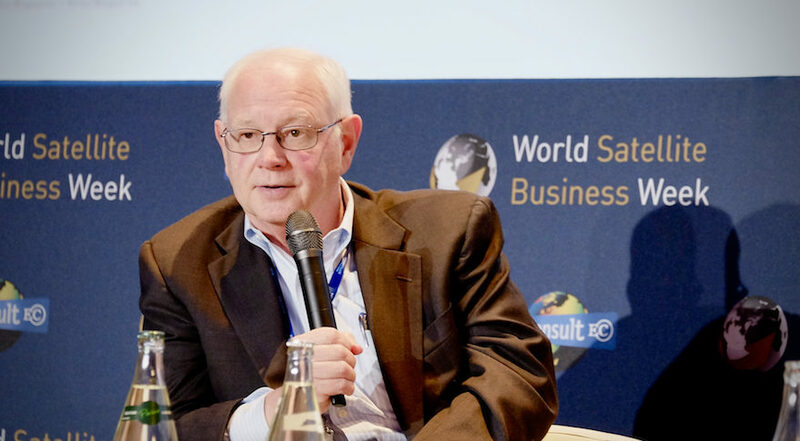 Speaking at the World Satellite Business Week conference here, Erwin Hudson, Telesat LEO vice president, said the operator’s true ambitions are much larger. “Our business plan is largely based around 292 [satellites], but the system is designed to scale to 512, and we can scale to 512 if … once we get fully underway, we can justify that on a business and economic basis,” he said. Telesat awarded two study contracts this summer, one to Airbus and another to a team made of Maxar Technologies and Thales Alenia Space, to conduct detailed analyses of how to build the constellation and associated ground systems. Hudson said Telesat expects to downselect during the second quarter of next year. Telesat is not alone in planning a constellation larger than first pitched to regulators. OneWeb received FCC authorization in June 2017 for 720 satellites, but nine months later returned to request U.S. market access for an additional 1,260 satellites. Erwin said LEO systems have to “scale in chunks” because of the need to add new satellites to multiple orbits all at the same time in order to increase the total throughput of the system. Erwin said Telesat is prepared to request an amendment to its FCC license, but didn’t give a timeline for when that would occur. With 292 satellites he estimated Telesat would have five to six terabits per second of total usable capacity globally. Erwin defined usable capacity as “sellable capacity,” not capacity that is stranded over empty swaths of ocean or unoccupied land. When the satellites aren’t over populations, Telesat can run them at a lower energy level, using the idle or less demanding time to save power and recharge spacecraft batteries, he said. Erwin said Telesat sees strong demand for LEO broadband in the markets of aviation, maritime, and backhauling cellular data. Providing consumer internet to homes is not currently part of Telesat’s core business plan because the electronically steerable antennas that would be needed are still unaffordable for such customers. As antenna prices come down, he said Telesat would take another look at consumer intent broadband, a market dominated geostationary satellite operators Viasat and Hughes Network System, whose residential customers only need a comparatively cheap modem and parabolic dish to get online.